This Singaporean designer has an extensive experience in designing home, office, kitchen, and wardrobe furniture and furnishings. 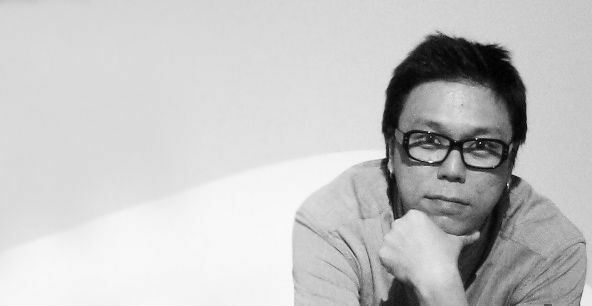 Kenny Hong, founder and director of design studio 11H, was named one of the Asian furniture designers to watch in this year's International Furniture Fair Singapore (IFFS). He was also handpicked to design the beautiful installation that welcomed guests into the event. 11H specialises in product and furniture design and marketing. The 46-year-old design director says his foray into furniture design was a natural progression. His first job designing air steriliser allowed him to learn the nitty-gritty of the manufacturing process. Kenny then dabbled into designing street furniture such as bus shelters, hand railing, and outdoor benches. He later acquired skills on woodworking and cabinet making when he started designing office furniture. When he decided to open his own studio, Kenny catered to the home furnishing segment by designing modular wardrobes and kitchens. "I love furniture designing because I get to explore both the science and the arts aspect of design most," says Kenny. X2, a system furniture project, is the most memorable furniture Kenny Hong designed. A display shelf done during the school holiday in Temasek Polytechnic. It was created using a single 4x8 mdf board and the CNC router in the workshop. I always begin with identifying an issue that I want to deal with. Start a dialogue with people and proceed from there with research (how people deal with similar issue, etc.). I get my inspiration from everywhere—usually from places that are not related with the project that I am working on. Burning Bush telephone pod features customisable 3D printed parts as connectors and accessories with oakwood base and poles. Coffee table in my living room. I designed it during a workshop conducted by Naoto Fukasawa and sponsored by Xtra (thanks Choon Hong!). Design has to look different and unique. Andy Warhol. I want to see how he interacts and influences people. Nowhere else. I love it here. Keep it simple. Know your needs. Don’t follow trends blindly. Kenny Hong also shared with us memories of his semi-detached home on Sixth Avenue in the '70s in Our Homes of the Past series. Read about it here.